Manufacturer of a wide range of products which include flap side seal bag. 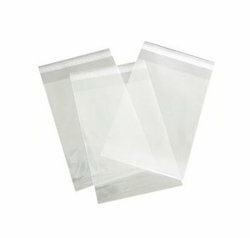 We are actively engaged in manufacturing and supplying an attractive range of Side Seal Bag. Our offered seal bag is extensively used for packaging of electronics and general items. Offered bag is also available in various sizes and alluring designs to cater the various demands of our valuable clients.